1996 I was at university studying something I was not going to use in later life (simply because I lost interest and for your information I was studying craft baking at University). Interesting, so how did this craft baker become the writer to the hyperspin report and the3rdlevel dot net. Easy my friends were computer science students and most were into the computer scene. My first emulator I was ever introduced to was a spectrum one, not an arcade. I had a talk to these friends and my first taste of emulation was a Nemesis Emulator (while not perfect yet it was very playable and I remember playing this in the computer labs at the time. I was also hanging out of a games shop during this time also (Turbo Games). So during my late teens early 20's I loved games and gaming. But I didn't have a PC to play any games on. I basically lived round my friends (jennatek) and my uncles place during these years. Emulation during the early Windows / MS-DOS days were confined to a bunch of single game emulators and a couple of multi-game Emulators(please bare in mind MAME wasn't as big as it is now back then it was just a PAC-MAN emulator and only really played a handful of games. My first taste was Sparcade on MS-DOS, it played something like 30 games at the time, which was quite a feat ( we are talking 1996 here) and they played classics like space invaders, slapfight, phoenix and airwolf. This was my first taste of emulation and it was good. I played this at jen's most of the time. Yes, that's right, the vector game version of Star Wars (and yes I would love to own a cabinet, Do not care what size either). Why this game you may ask, Being a huge Star Wars nerd, this still held up (even with the release of X-Wing and Tie Fighter). I loved the pace of this game as it was fast, solid gameplay and there was also something about shooting tie fighters. By 1998 the first of the Vector games were starting to be introduced and That meant Star wars had hit home computers and windows 95. By 1990, I was living out of my uncles place my boring 4 walls and Jens at the time. But over time Mame had over a 1000 arcade classics but not the 1988-1995 yet. Games like Wrestlefest, WWF SuperStar and the like, Another Emulator Beat MAME to that punch as it cover most of Taito and thechnos and that emulator was Raine. it was the first emulator to do and garnered quite a follow. during the next year a lot of people developed for MAME and games were coming at an alarming rate. They had taken to releasing Beta versions rather than the what you get today. You realise when you play random games on mame without knowing what you are playing. sometimes you remember I have played this. Here's the problem I have, I have a hell of a memory when it comes to games. But with Emulation you didn't have things we take for granted today. First of Zip Support, for those of us that were in the 90's we had to unzip the game into it's own folder in which you dumped the roms folder into. Those early years were a pain in the backside. If you wanted the play NeoGeo games the emulator at that point was NEO-rage before MAME covered that in the 2000's. Most of us during our youth remember playing arcades games. One game I played on another emulator before MAME was Image Fight and that first game out on the M72 Emulator. What is Image Fight (what is that, well, Image Fight is a vertical shump which had to me an interesting feature, you fighter transformed into 3 different modes which had different rates of file and maneuverability). While my personal taste in games in games is best described ecliptic. But my tastes are like a lot of people's and MAME has provided a lot of games in which I adore in my life. 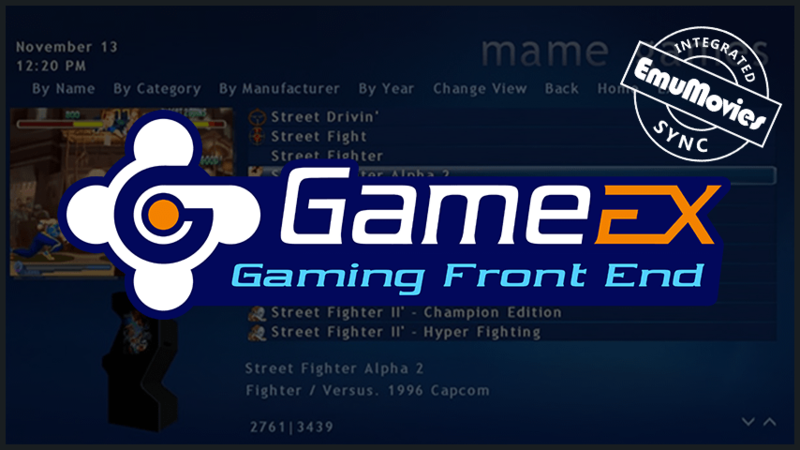 While MAME has provided a lot of games in the past 10 years and Mame is nearly 20 years old now. it's amazing when MAME first came out, it only played 6 games and the first was Pac-Man. This is for the fallen who pathed the way from the beginning till now. These emulators are the forefathers to MAME has become today. There are alternatives to MAME that play games MAME still can't yet. But the future is always bright when it comes to preserving our history with the internet. I look to the future and I see less variety in terms of emulators, as older emulators are no longer supported or have reached the pinnacle of their particular emulation choice (meka for the master systems being one). We have a wide selection of multiple system Emulators (including MAME and Retroarch) which makes single systems obsolete which is a little disappointing because you knew what you could get with each emulators (there are certain exceptions like supermodel which is a model 3 emulator which specialises in Star Wars Trilogy). Looking back and even if you look in rocketlauncher the amount of emulators there are out there and some still in development (retroarch being core based and covering all systems including mame with it's core system. When you look at games today with their brilliant graphics get sometimes their gameplay is what kills a game dead. But when you back even to computers like the spectrum there were a lot more challenges in terms of actually creating an actual game with minimal graphics but solid gameplay. Game ports back then were interesting because nothing until something like 1985 were officially licensed until those times. There were some licensed games like movie tie-in or some arcade port around that point. I'm going off point, here but I bringing the point the people that game retrogames now are people, who have played game during at this period never forgot what we played and why we love them as well. But if you look back toward what emulators came before you maybe surprised because there many people with the same goals, just different ways of doing things. I was right there with you when it first started, and I also would LOVE to own a Star Wars cabinet. That was my favorite arcade game by far when I was younger. I have also started a series of articles about what Emulation is, but left it in the middle (probably will end up being a book though...). Wow, i thought i started early with snes9x vs zsnes but that takes the cake! Retrocade was my first emulator back then. Great interface and it emulated over 100 games. NeoRage was also one of my favorites.